Don’t you just love it, when you just chuck on some clothes and it all comes together really nicely? This is what happened to me on Saturday, after thinking I was going to have another long battle with the wardrobe. In fact I think my outfit looks better, when I’m in more of a rush to get ready. 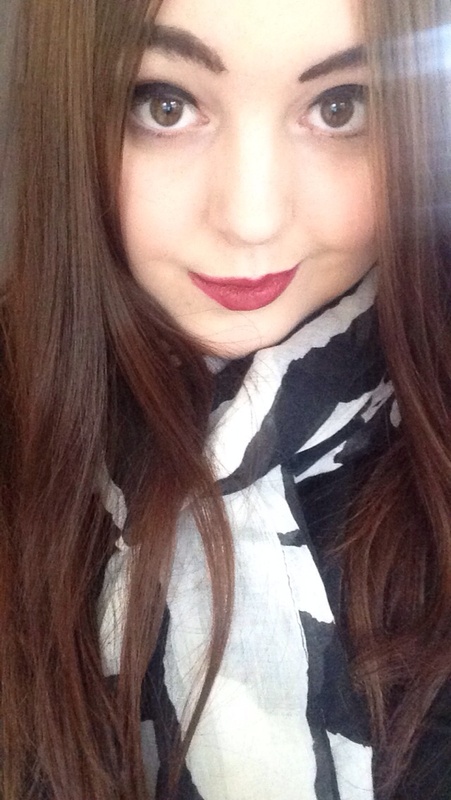 It’s getting a bit colder now and I think now it’s October it’s acceptable scarf weather. 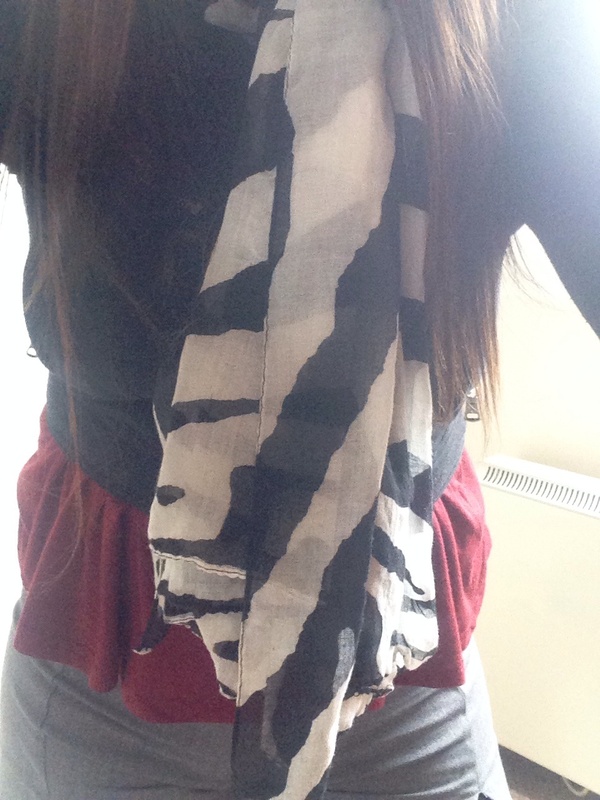 I like this monochrome one, as it’s quite a thick scarf, I know the material isn’t thick but it keeps you warm. 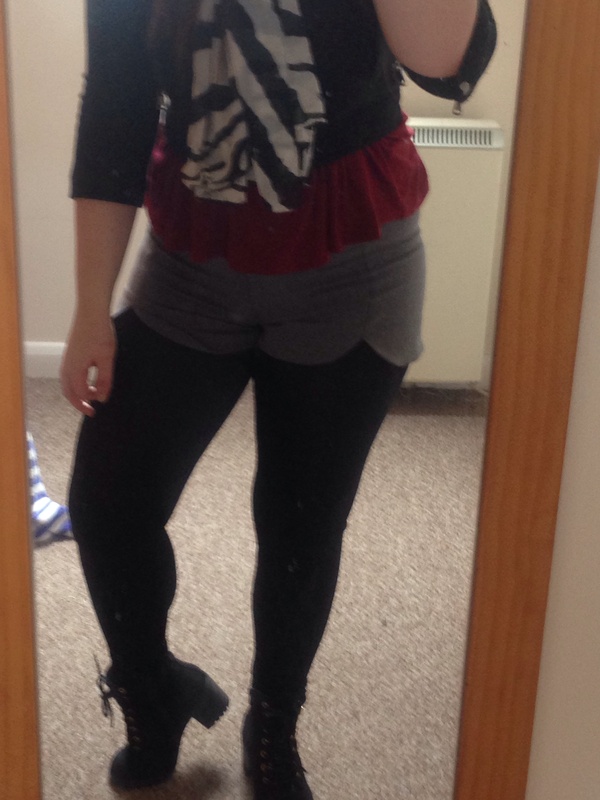 Underneath that I had a burgundy coloured basic vest and a black biker jacket layered over the top. I liked the effect of the cami vest underneath the jacket, as the bottom gave it a bit of a peplum look. Now these shorts I have not worn them ages. I love the little slits in the front and the round edge it gives. Just because it’s colder doesn’t mean you can’t wear your favourite shorts or skirt, just add tights or leggings like I did here. 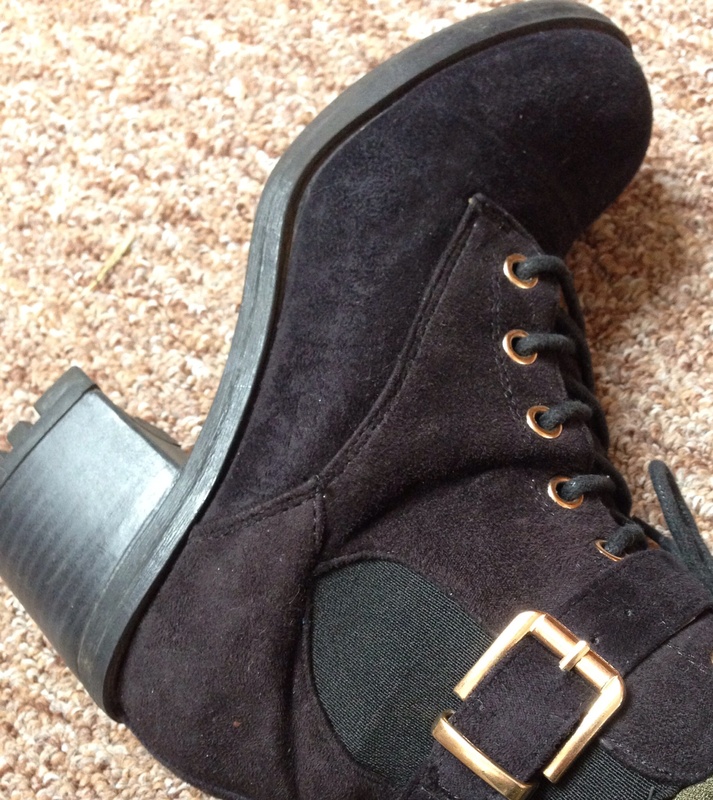 All that was needed was for me to put on my favourite ankle boots and tadarrrr! An outfit I was happy with was made! P.S I’m sorry I have to keep linking to similar items, I have not bought any new clothes in a while, apart from some jeans the other day, which would of featured in a post but I don’t like them, so I’ve sent them back!